The first two photos and first trailer of “Poltergeist” (3D) have just been revealed by 20th Century Fox. Legendary filmmaker Sam Raimi of “Spiderman,” “Evil Dead” and “The Grudge” fame updates the classic tale about a family whose suburban home is haunted by evil forces. When the terrifying apparitions escalate their attacks and hold the youngest daughter captive, the family must come together to rescue her before she disappears forever. The film stars Sam Rockwell, Rosemarie DeWitt, Jared Harris and Jane Adams. 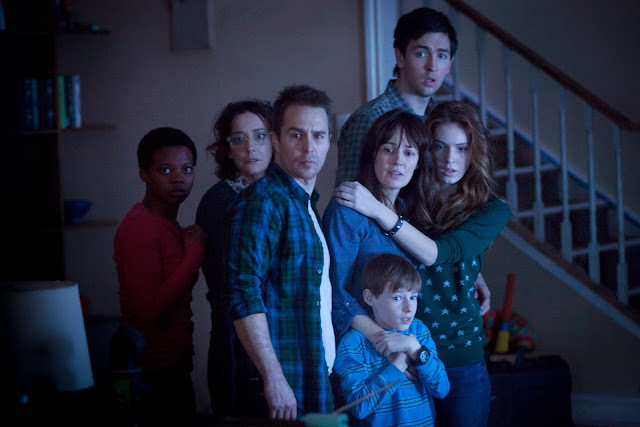 "Poltergeist" (3D) invades theaters in the Phils. this July 23 from 20th Century Fox.